Brite Blinds Ltd recently fitted a Markilux 8800 tracfix conservatory roof awning over a barbecue are at Sussex County Cricket Club in Hove East Sussex. 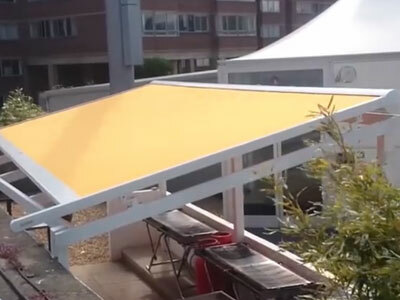 The awning was fitted to a custom built pergola frame and offers shade and protection from rain to the barbecue are below. The fabric was taken from Markilux’s Perla FR range of flame retardant fabrics. Awnings, Brighton, Conservatory awning, Markilux, Sussex brighton, conservatory awning, hove, markilux, markilux 8800 conservatory awning, markilux awning, motorised markilux awning, tracfix. permalink.